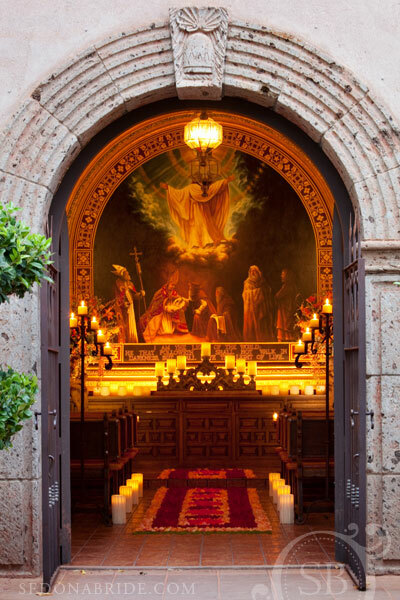 This absolutely gorgeous image of the charming Chapel at Tlaquepaque was taken by Sedona’s own Katrina Wallace of SedonaBride.Com and will be published on the cover of Arizona’s Finest Wedding Sites and Services September issue! 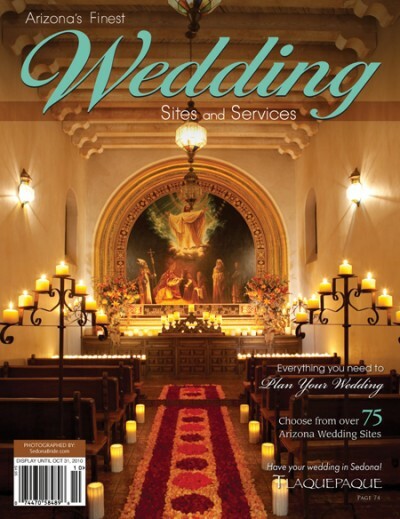 The popular magazine is one of Arizona’s most comprehensive sources for brides planning their weddings anywhere in the state. Show Stoppers and Nectar Design created another one of their popular rose petal carpets for the aisle. 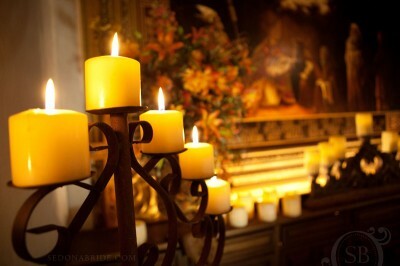 Old rusted candelabra, wax luminaries, tons of candles and a fabulous old alter piece were used in the shoot. Terra cotta cherubs holding cornucopias filled with autumn flowers flank the sides of the alter. 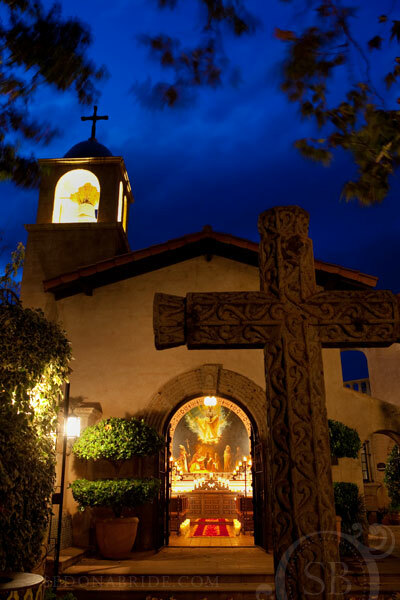 The Chapel at Tlaquepaque is one Sedona’s most popular ceremony sites. Receptions can be booked in several of the gorgeous Tlaquepaque courtyards and catered by Sedona Wedding Studio caterers. Find out more about all the Sedona Wedding Studio members who were involved in this shoot by going to their categories on this website. 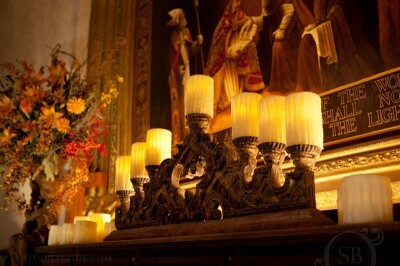 Here are more images from the lovely Tlaquepaque Chapel shoot.